2016 has been quite the year, it's had its ups and its down but throughout the 12 months my love for all things beauty has developed further. All but one and a bit of these favourites where discovered at some point this year and I've remained loyal (mostly) to them all since their unearthing! The Wet Brush was recommended to me by my hairdresser and I haven't used another thing since buying this. I purchased this on one of my many Beauty Bay hauls in 2016, it's so tender and does very little damage to the hair. I have long, thick, bleached hair and this really has helped with the condition and treatment of my hair. YSL Black Opium is a scent I received for Christmas 2015 (you can see what I received this year, here and here) and I love it, it's the perfect mixture of floral and seductive and easily wearable for any circumstance. I usually wear this if I have plans after work as it's suitable for both occasions and lasts all day. 2016 was the year I discovered the Beauty Blender however, call me controversial but I much prefer the Real Techniques Miracle Complexion Sponge it does such a good job of evenly blending foundation whilst giving the perfect amount of coverage. I've gone through at least 4 of these throughout the year. Another favourite is the MAC Lipstick in Faux which is the perfect nudey pink. Obviously i'm not loyal to lipstick, lipstick is my thing but this is the shade I always go back to. I keep it in my makeup bag for everyday use as it suits all makeup. Another item I have repurchased 3 times in 2016 is the YSL Touche Eclat Foundation. This is the most amazing foundation, the coverage is amazing and it lasts all day on the skin. I always make sure to pick this up in the airport as it's a tiny bit cheaper (you can see my Duty Free Haul here). It lasts around 2 and a half to 3 months which is amazing, definitely my holy grail foundation. The Lee Stafford Poker Straight Heat Protection Spray is an oldie but a goodie. It smells incredible and does a good job of protecting my hair, now that it has more blonde at the end it's super important to keep it in good condition. Finally, there's a 2 in 1 favourite - I discovered Makeup Geek Eyeshadows (you can see my collection here), they are amazing! For around £5 they are pigmented, long lasting and come in a lot of shades! I haven't bought another single eyeshadow from any brand since I've discovered MUG. I've also been loving the Z Palette too, it's the perfect way to store single shadows without paying £££! What have you been loving throughout 2016? MAC Faux is one of my most worn shades, it is so underrated! I've been loving the original Beauty Blender but I can't wait to try the one from Real Techniques. 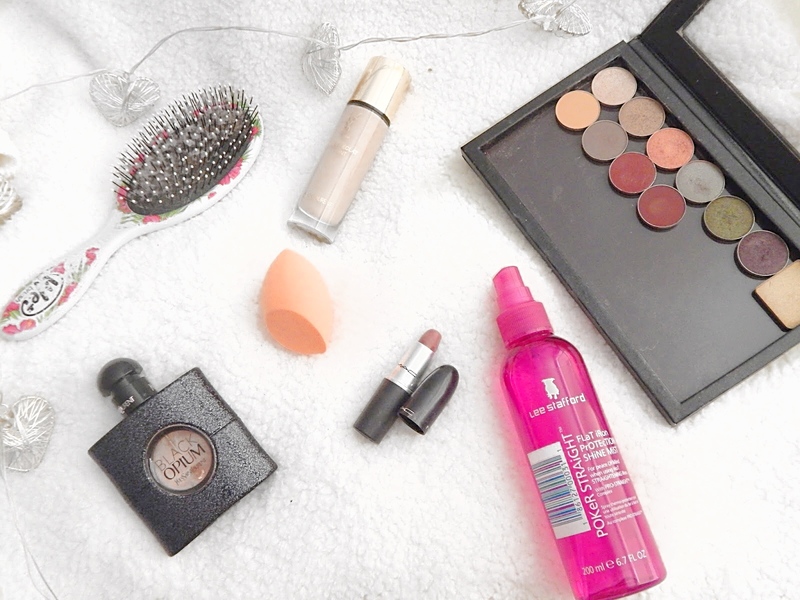 Some great favourites - I want to try the wet brush, I hardly ever brush my hair which probably isn't great!